It’s not too late! 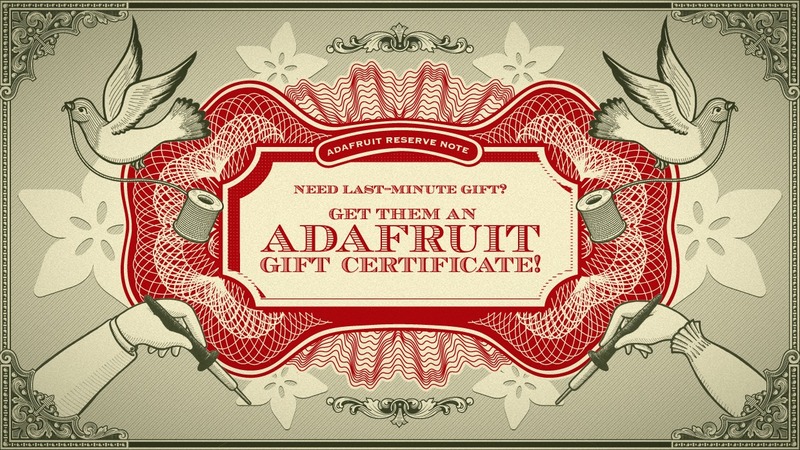 Give an Adafruit Gift Certificate! Fast, easy, last-minute! @adafruit #adafruit #ChristmasEve « Adafruit Industries – Makers, hackers, artists, designers and engineers!